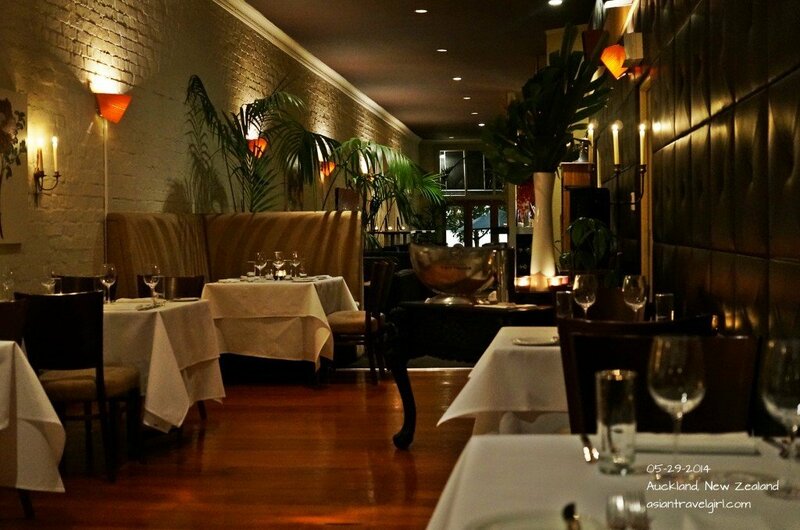 The winner of 2014 “Restaurant of the year” in Auckland. 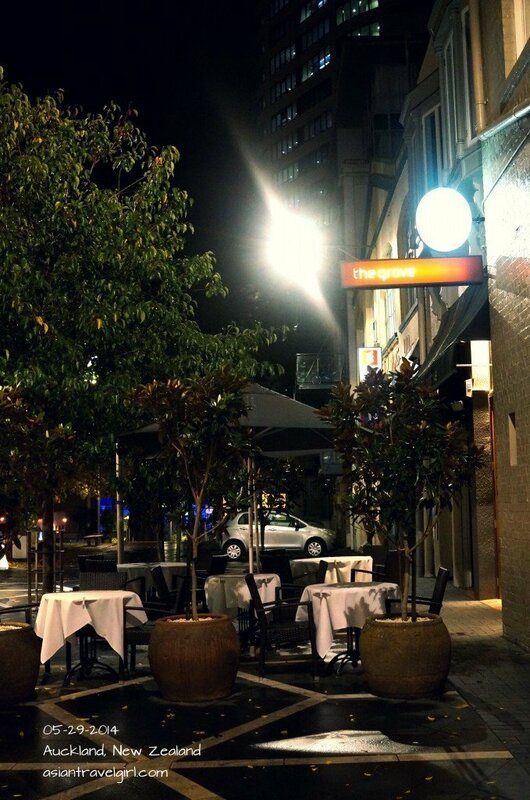 The Grove Restaurant is the winner of 2014 “Restaurant of the year” in Auckland. After leaving Auckland for 18 months, my friends and I decided to catch up over some fine dining. 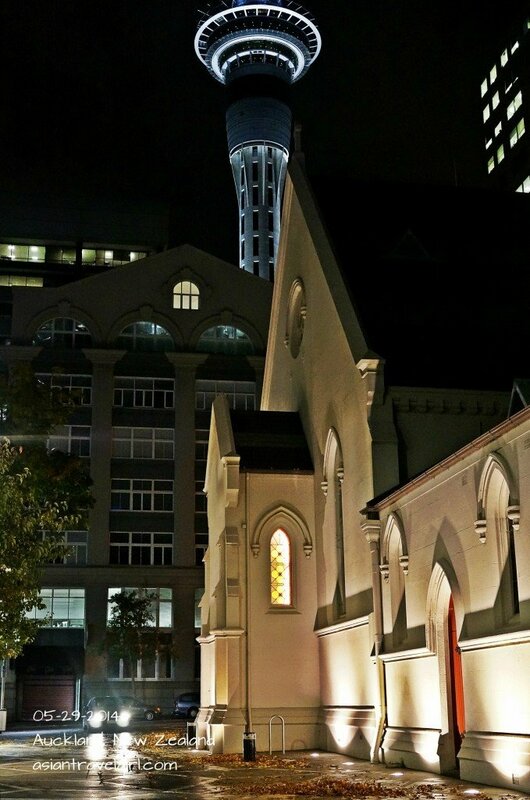 The Grove Restaurant is next to the newly renovated historic St Patrick’s Cathedral, the square is quite quiet on a Thursday night, giving a serene ambiance. Originally we were going to eat at Viaduct, but we decided to try something new with high review ratings. The Grove was on top of the list. 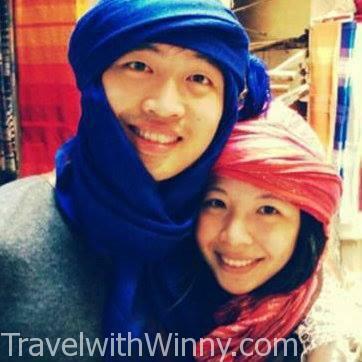 We only made the booking half an hour before our arrival, they were able to accommodate us on a Thursday night. The outer appearance of the restaurant was rather low profile at night time. However stepping inside was a lot different. As we entered the door, the waiter came and greeted us. He even asked for my coat so he could put it aside, you don’t get many services like this in Auckland. At the front of the restaurant, there was a bar with several sofas in front. It was rather like a small lounge. A few steps into the restaurant were when it became spacious with beautiful decors and warm colors. 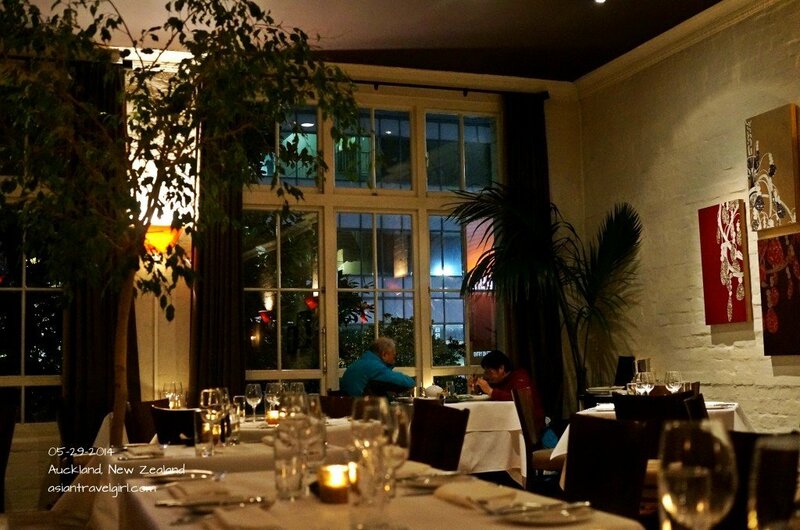 There were many decorative plants inside the restaurant giving it a natural feel. There were many butterflies and insect paintings on the wall too. I was admiring the decorations so much I forgot to follow the waiter to our table. I guess the decors are natural orientated because The Grove is very organic driven and only want to use organic ingredients and sustainable meats and seasonal fruits and vegetables in their cuisines. When reading up the website it says that the food here is modern in style whilst using classic French cooking techniques. The waiters’ uniforms were very professional looking and they were very knowledgeable about the wines. I was impressed at their extensive wine lists. My friend had a French red wine to match his main (I didn’t pay attention to which wine he had), I had to skip alcohol since my throat was hurting from Auckland chill. Everything on the menu sounded appetizing. The prices were all same for all entrees (NZD$28), mains (NZD$45) and accompaniments (NZD$10). 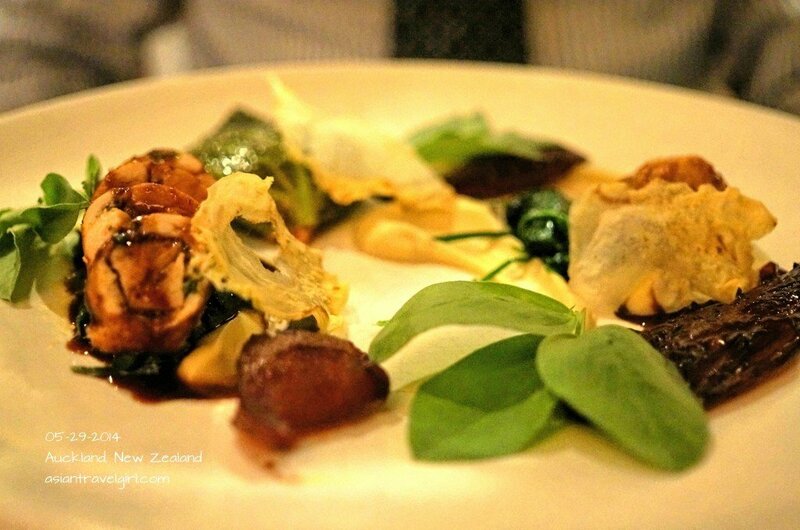 There are details of the menu on their website (http://www.thegroverestaurant.co.nz). 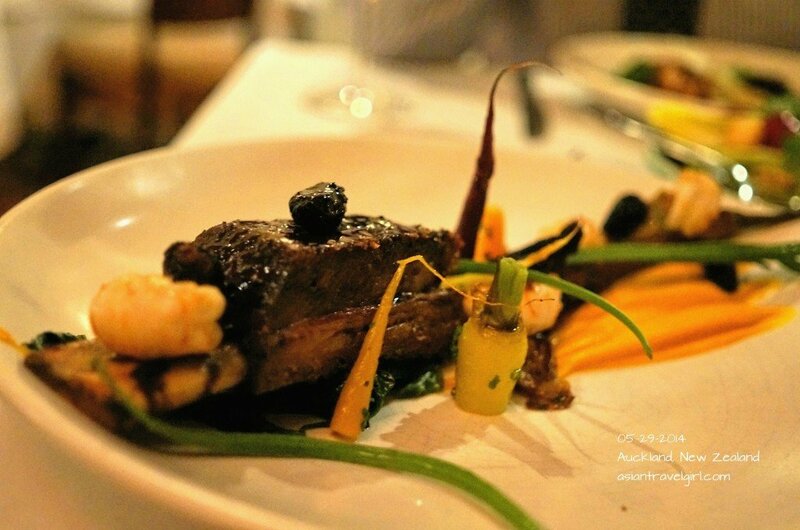 The tasting menu was NZD$145 per person, it seems like all the high end restaurants in Auckland has degustation around that price range. However out of the 9 dishes, 4 of them looked like desserts. Since my friend wasn’t a sweet-tooth person, we decided to go for A la Carte. 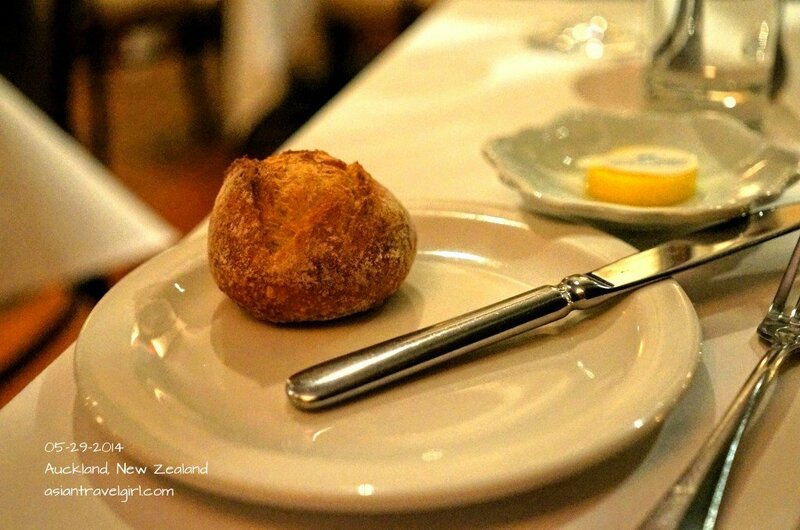 The bread was warm and uses Lewis Road creamery organic artisan butter, sounded quite fancy. The waiter brought out a compliment which tasted like quiche. I didn’t quite hear what it was. It had a meaty flavor with crispy sesame crackers at the bottom. My friends and I both loved the fried leeks on top. Probably our favorite part of the dish, a bit lame I know. Nevertheless it was a great start to the meal with some compliments. 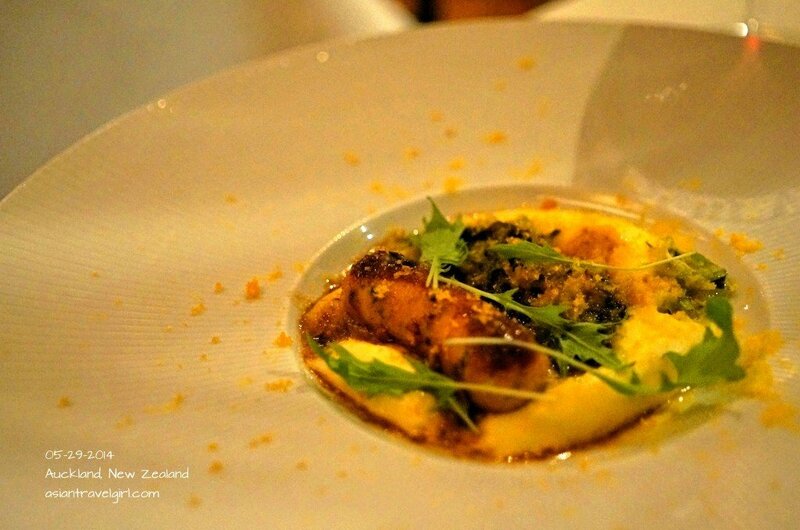 We shared the entrée which was call “Corromandel crayfish cannelloni with king crab & bouillabaisse of crushed scampi”. The crayfish wasn’t what we expected to be, it was wrapped up like a sausage. After we finished eating the dish we had to ask the waiter what that sausage was, she said not many people realized that it was the crayfish. It was my favorite dish from the night. Our mains were “Roasted red-legged partridge with sweetbreads, creamed parsnip, figs and red endive” and “Breast of rose veal with sauteed scampi & stuffed morels, rosa bianca aubergine & young carrots”. My friend gave me some of his dish to try and I thought the partridge was quite delicious. It was something different to what I usually have since it was wrapped up in a roll. My veal was slightly hard to chew. I was a bit disappointed since the waiter told me it was stewed for over 24 hours. 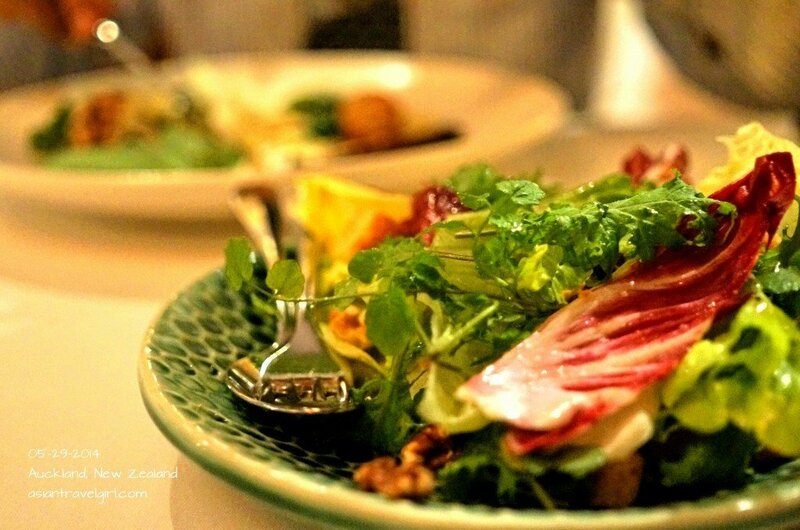 The accompaniments were salad of bitter leaves, walnuts & apple dressing, duck fat croutons. The leaves were bitter for sure. Next time it is probably safer going with the roasted vegetables as a side. I was quite impressed with the toilet in The Grove. It had nice decorations and had cloth towels instead of paper towels to dry your hand. 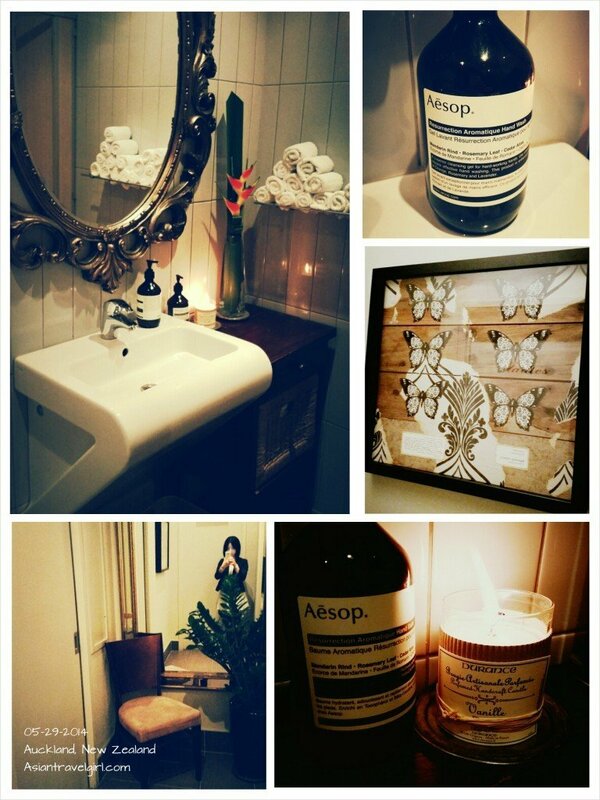 The hand wash used was a brand called Aesop, a brand that is famous for its high quality products. The toilet even had hand lotions next to the sink for you to use after washing your hand. To me, that is paying attention to details. Too many times a restaurant may look classy in the interior but when girls goes to toilet, the experience will be a letdown. The tables near the windows are very romantic with views looking out onto Auckland Sky Tower. I really enjoyed the atmosphere. The waiter even helped me to put the coat on while I was leaving, which I think was very sweet, it made me feel like a lady. 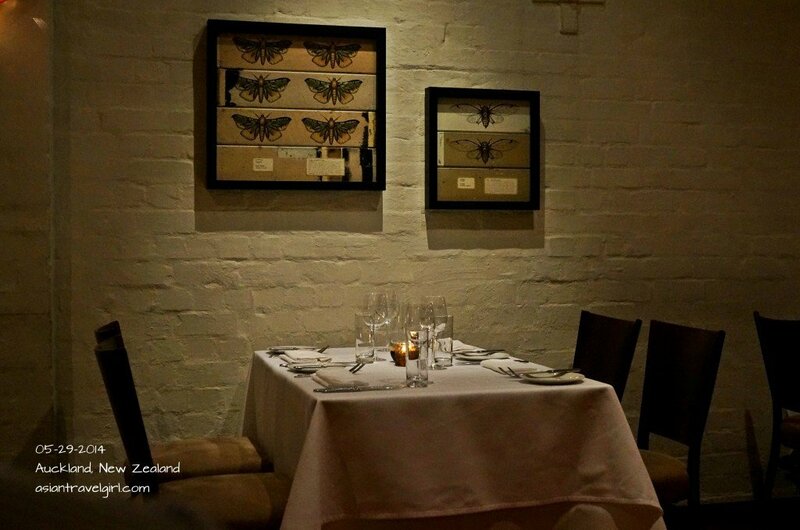 Overall I think this is a restaurant that will not disappoint if you have guests visiting Auckland. I think the food quality and the favoring are quite good (other than my veal wasn’t up to standard). 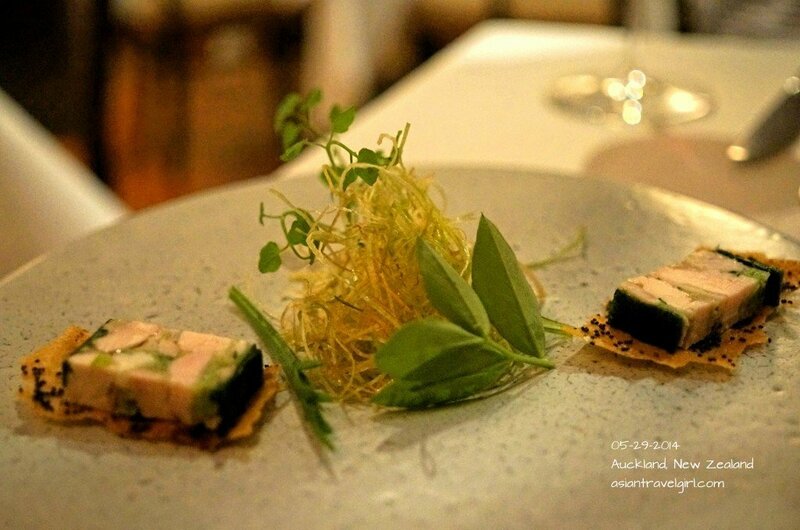 I would love to give the tasting menu a try next time I come visit.